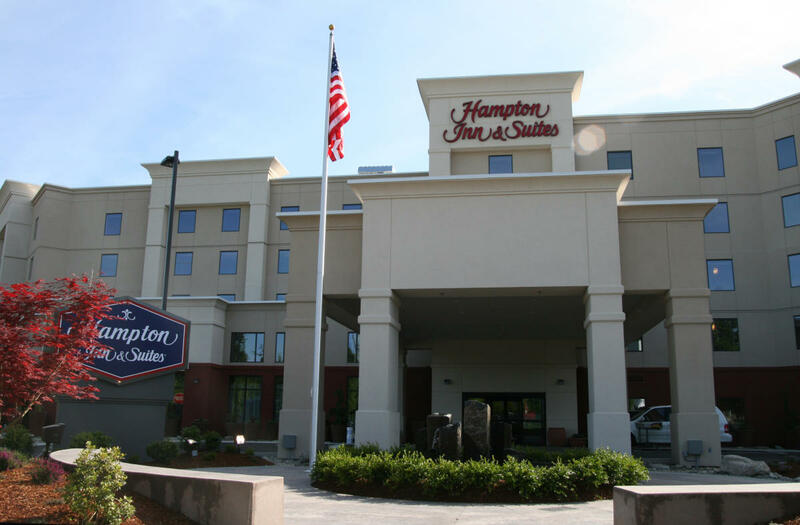 Hampton Inn and Suites Seattle-Airport/28th Ave offers two meeting rooms. One large room featuring 1,288 square feet of space and a smaller room with 644 square feet. There is approximately 500 square feet of pre- function space in front of the meeting rooms. Both rooms are located on the main floor with a separate entrance for easy loading and unloading. The meetings rooms do not have air-wall and cannot be combined. The hotel does not have a restaurant on site however; they have a preferred vendor to provide full service catering to groups. Area restaurants are within walking distance. Description Now open the brand new Hampton Inn and Suites in SeaTac offers two meeting rooms. One large room featuring 1288 square feet of space and a smaller room with 644 square feet. There is approximately 500 square feet of prefunction space in front of the meeting rooms. 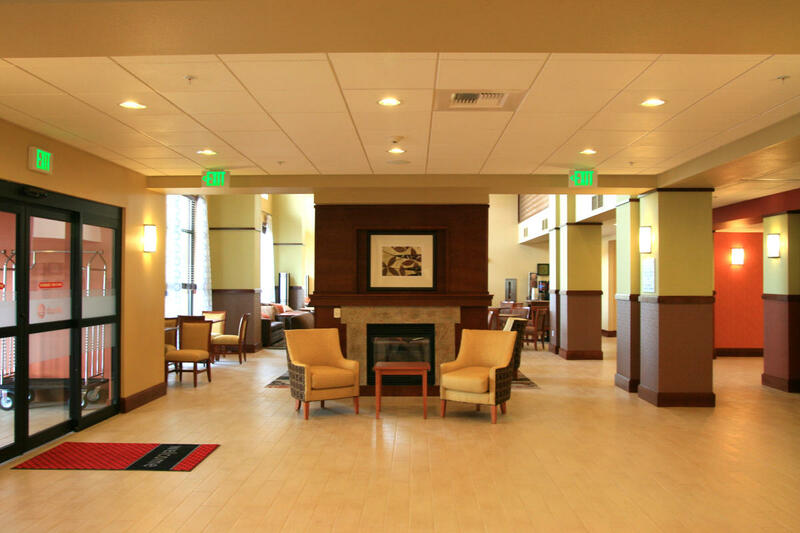 Both rooms are located on the main floor with a separate entrance for easy loading and unloading. The meetings rooms do not have air-wall and cannot be combined. The hotel does not have a restaurant on site however; they have a preferred vendor to provide full service catering to groups. Area restaurants are within walking distance. Space Notes We do not directly offer catering through the property, but do have onsite catering delivered using an outside company.